All the skewers designed to adapt to any meat or fish. 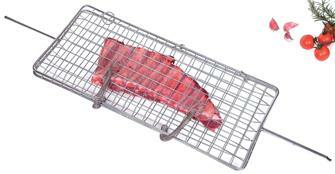 Cage spit in chrome steel - 80 cm - for rotisserie. Grill basket in chrome steel 70 cm, 50x22 cm useful dimensions. 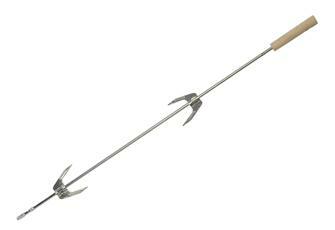 Spit with three fixed rods, 5x5x600 mm skewers and a central 7x7x800 mm spit. 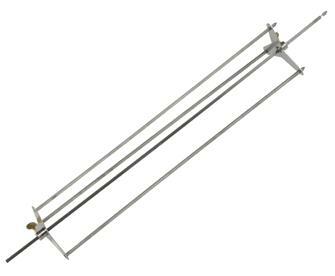 Ideal for passerines, quails and skewers on a rotisserie spit. 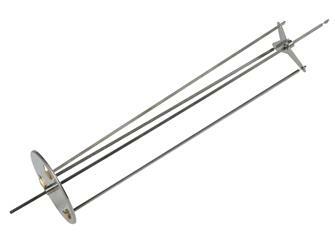 Spit with three rods with a gear to maintain regular rotation in order to cook the meat well. 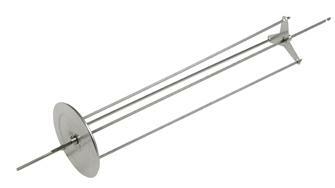 Broche anglaise skewer measuring 40 cm in chrome steel for a spit.